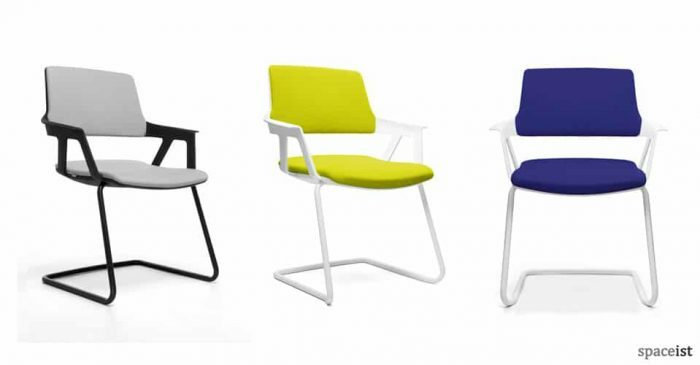 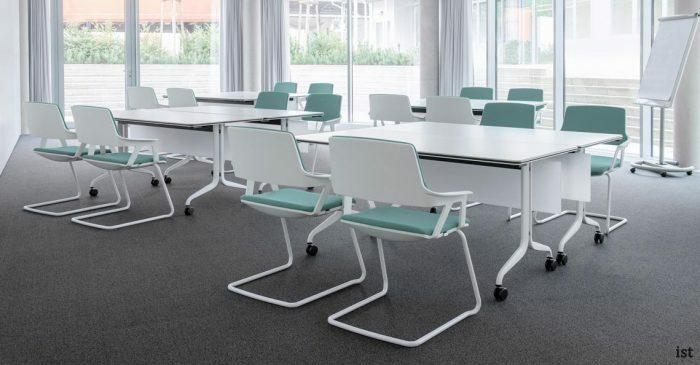 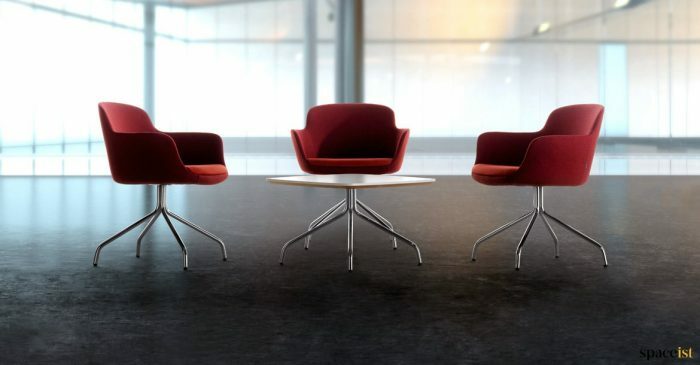 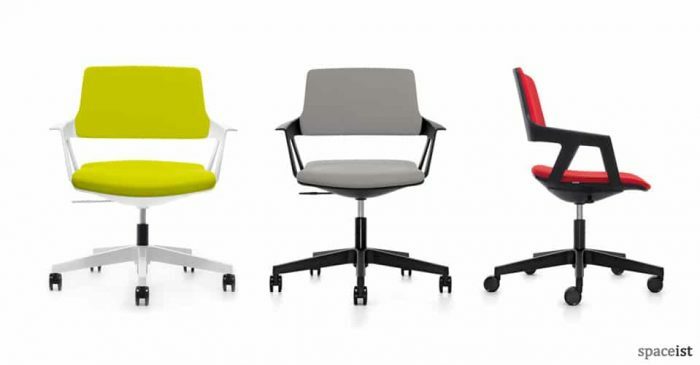 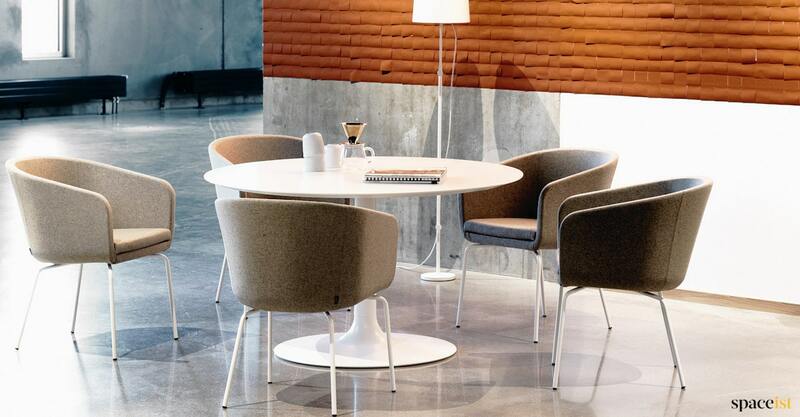 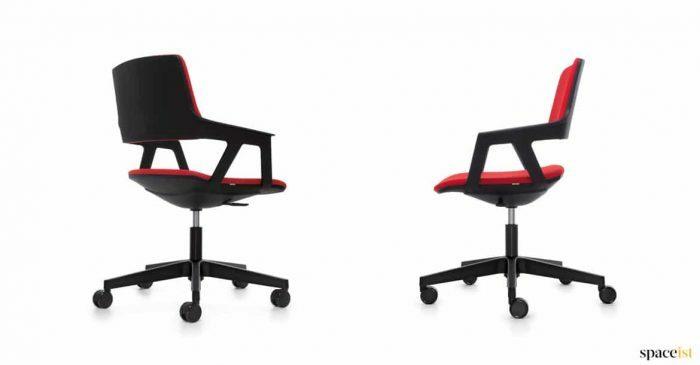 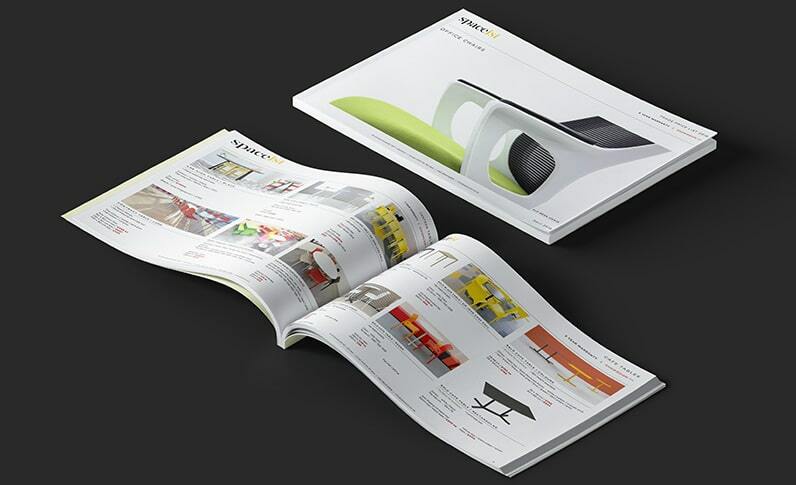 The Cabin meeting chair is a comfortable armchair for modern meeting rooms. 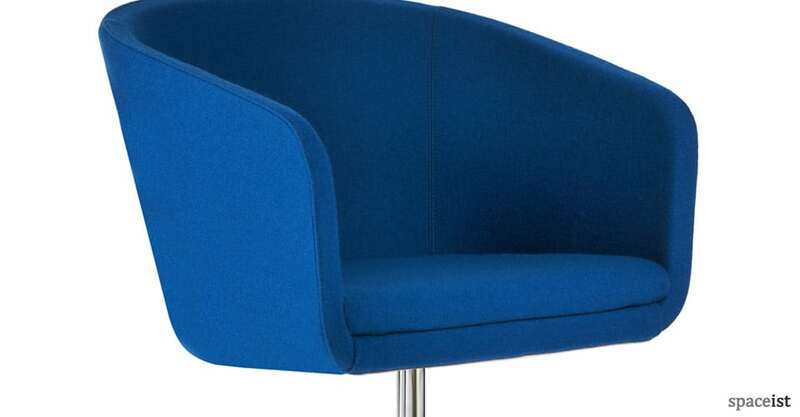 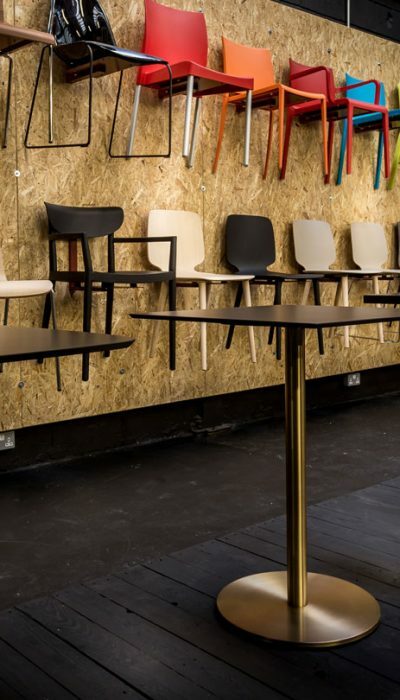 The upholstered shell is available in a huge choice of vinyl, wool and leather finishes and the base can be supplied in polished chrome or painted white. 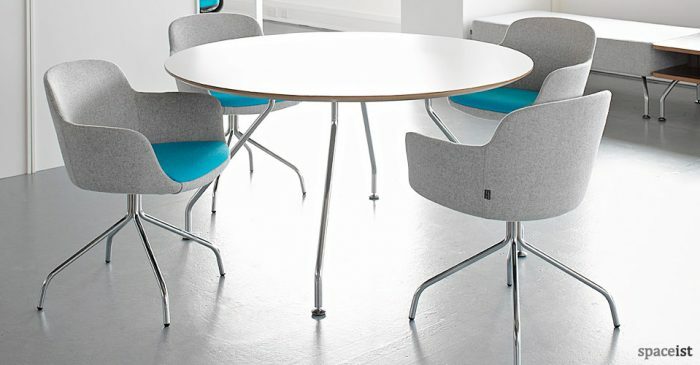 Shown with X round meeting room table.